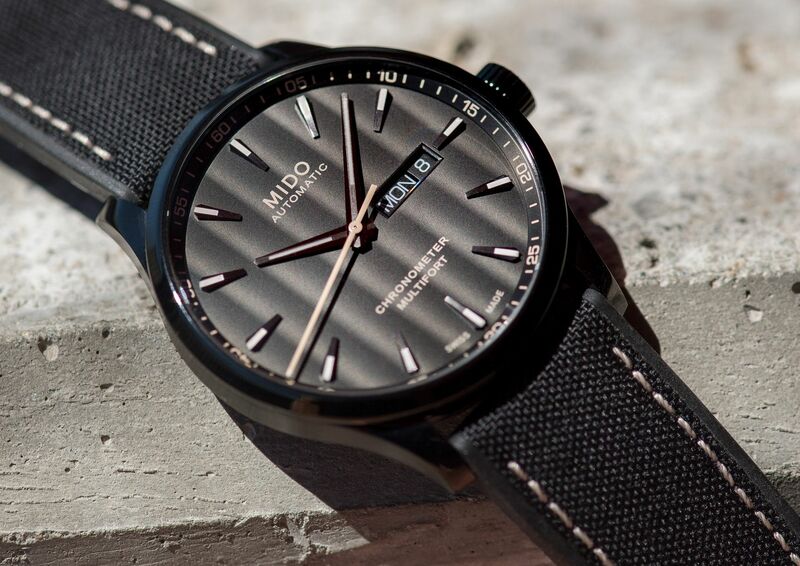 The past 100 years has been eventful for Mido, to say the least. 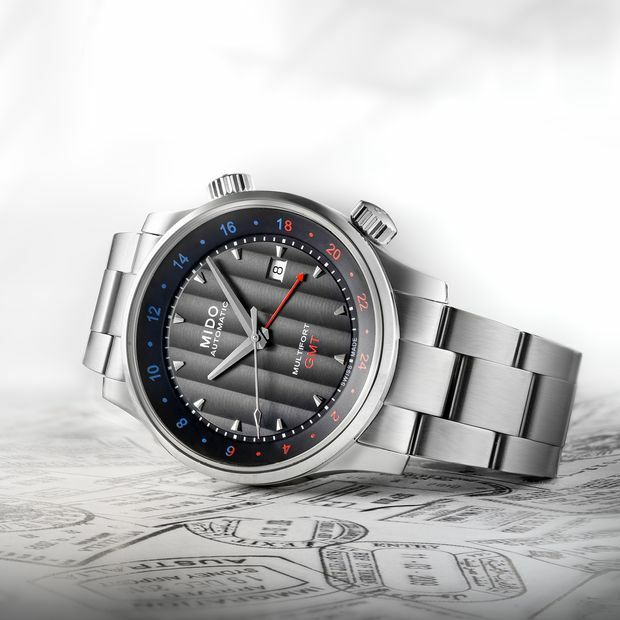 Since its inception in November 1918 by founder Mr. Georges Schaeren, each decade saw important milestones that shaped the brand to what it is today – from becoming a favorite in the flourishing automotive market of the 1920’s, the launch of the Mido Multifort in the 1930’s, invention of the “Powerwind” winding system in the 1950’s to its architecturally inspired aesthetic approach in 2017. 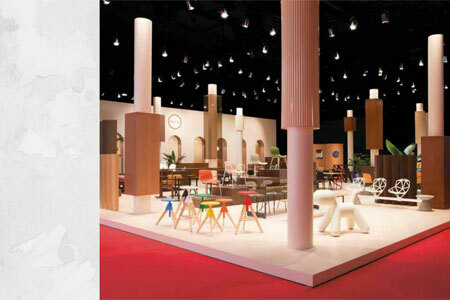 By drawing inspiration and sharing values with the world’s greatest architectural marvels, Mido’s philosophy is today marked by innovation, aesthetics, and functionality. What’s more, the refined and understated designs of the brand’s offerings are endowed with a timeless quality, ensuring that it surpasses passing fashion trends. 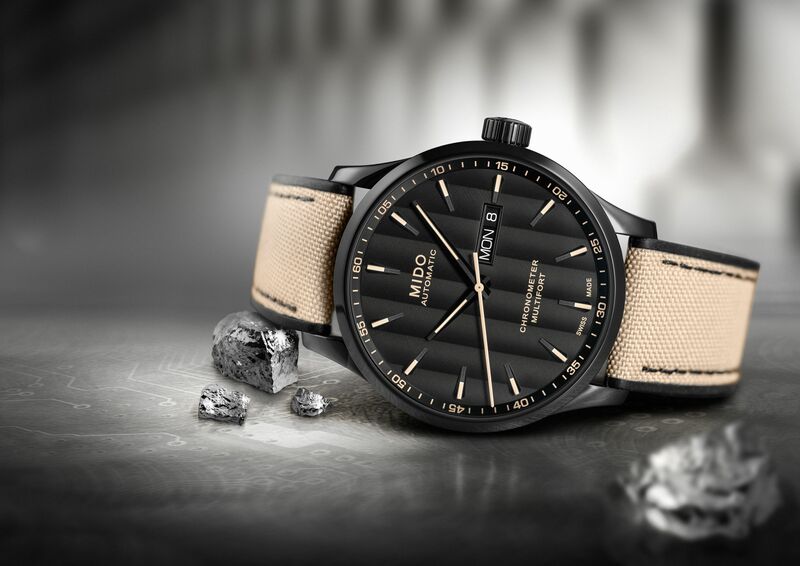 Today, Mido – whose name is derived from the Spanish phrase “Yo mido” meaning “I measure – aims to continue on the path Mr. Schaeren has laid before it by ensuring that 2018 will be an exceptional one. To celebrate, the watch brand introduces new timepieces that will excite with their timeless designs, quality materials, and technical innovation. Did you know that the Mido Multifort was launched in 1934 two years after the iconic Sydney Harbour Bridge was completed? In addition to the timely coincidence, the range shares the structure’s remarkable qualities of functionality and beauty. With over 80 years of history, the Multifort enjoys the distinction of being one of the longest-produced and widely recognized series in the history of Swiss watchmaking. Here are two models to keep an eye out for this year. 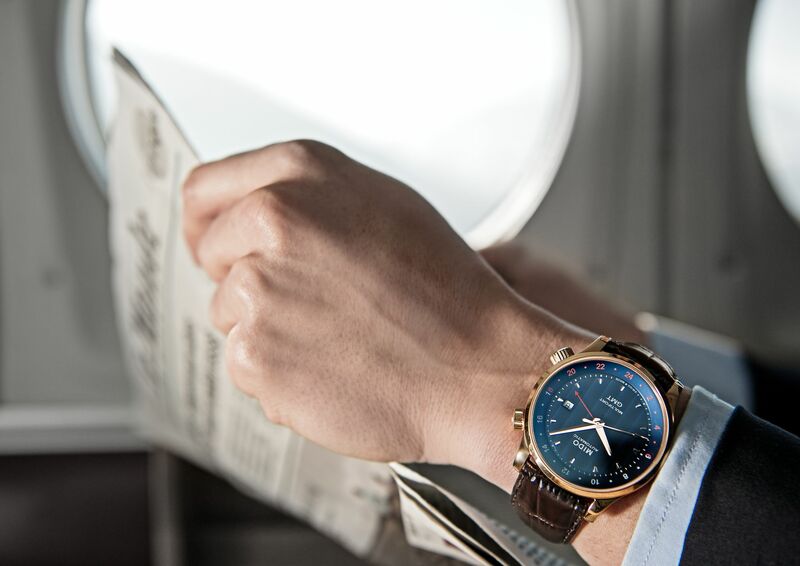 The Multifort GMT is designed for the globetrotting business traveler with a penchant for timeless, classic style. The timepiece features a second time zone indicated by a red varnished arrow-shaped hand, while a moving flange indicates 24 global time zones. Meanwhile, the second time zone (T2) is set using the screw-in crown at 2 o’clock. 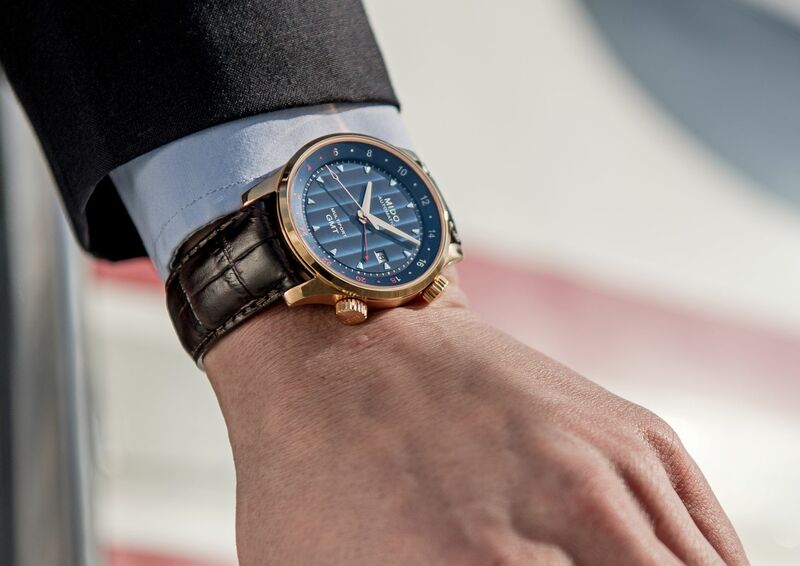 The 42 mm timepiece does not fall short in the aesthetics department with its rose gold PVD-treated case and a contrasting blue dial decorated with vertical Geneva stripes. The dial is protected by a sapphire crystal with an anti-reflective treatment on both sides for easy readability. Meanwhile, the transparent case back allows the wearer to admire the finely decorated automatic movement inside. The Multifort GMT is water resistant up to a pressure of 10 bar (100m / 330 ft) and comes with a brown leather strap with a folding clasp in rose gold. Sleek, chic, and imbued with an urban spirit, the Multifort Chronometer1 is a cool and casual version of the iconic Mido timepiece. It boasts a handsome black dial that provides contrast between the wide Geneva stripes and beige Super-LumiNova hands. The hour and minute hands are diamond-cut, satin-finished and triple faceted. Beyond its eye-catching appearance, it’s what lies beneath that sets the Multifort Chronometer1 from the rest. It is fitted with the Caliber 80 Si, a COSC-certified chronometer movement featuring a silicon balance-spring. This component offers long-term accuracy than a standard balance-spring, as well as improved resistance to magnetic fields and impacts. The Multifort Chronometer1 is water resistant up to a pressure of 10 bar (100m / 330 ft) and comes with a rubber strap with fabric insert – a state-of-the-art material that boasts comfort and versatility. Choose between black with beige stitching or beige with black stitching.